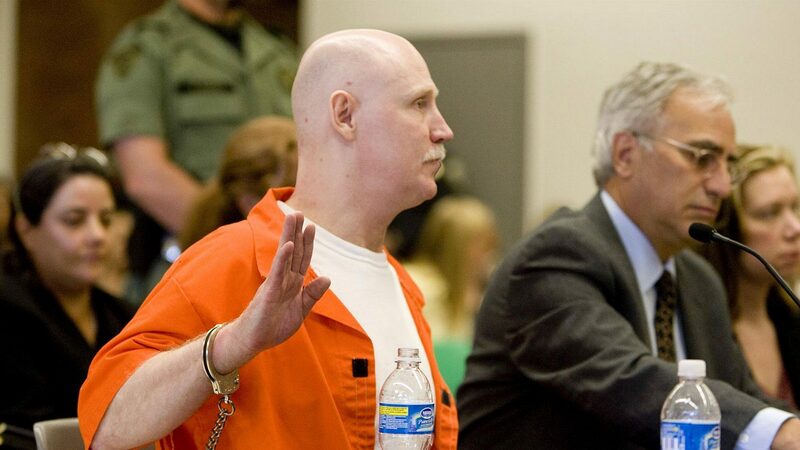 Ronnie Lee Gardner will be executed by firing squad in Utah State Prison early this Friday. He murdered Melvyn Otterstrom in 1984 and Michael Burdell in 1985. This case is getting extra attention because this will be only the third execution by firing squad in America in the last 33 years. Gardner chose this method of death before Utah outlawed it. We have no time of birth for Gardner, but we know from Wiki that he was born on 16 January 1961 in Salt lake City. He will be executed “shortly after midnight Friday (2 a.m. ET)” CNN. The natal chart doesn’t say much without the time of birth in this case. The transits for the time of execution shed a little light however. Transiting Pluto which rules death, and transiting Mars which rules violence and weapons make interesting aspects to his chart. Transiting Pluto is opposite his Mars, this Mars is also being squared by Jupiter and Uranus. Transiting Mars is conjunct his North Node, suggesting his violent end is is karmic path. His North Node is conjunct the brightest star in Draco, Thuban “killed by public execution.” The interpretation states this is possible if on the Descendant with involvement of Mars. Interpretations of the fixed stars for the Lunar Nodes incorporate Sun, Moon and Ascendant. The current Lilith, Chiron, Neptune conjunction falls on his Chiron. Thats a heavy duty Chiron return. Wounding for him, but the sacrifice of his life may hopefully goes someway to healing the families of his victims.